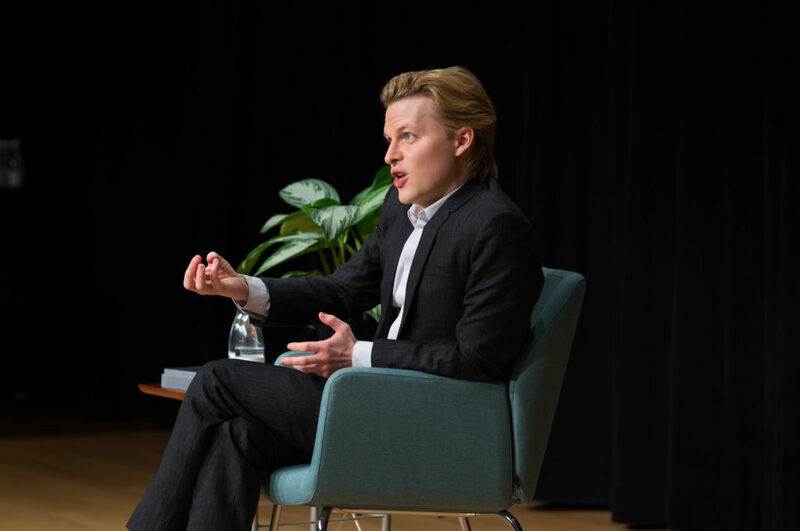 Pulitzer Prize-winning journalist Ronan Farrow spoke to a sold-out crowd at the Val A. Browning Center’s Austad Auditorium on Jan. 19. 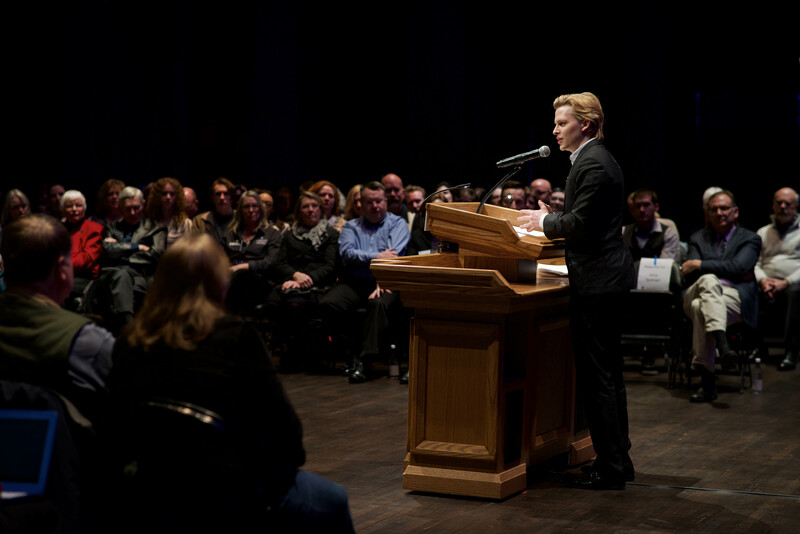 Farrow came to Weber State University as a part of the ongoing “Browning Presents!” series. A graduate of Bard College and Yale Law School, Farrow is now a reporter for the New Yorker. He also worked for UNICEF for several years before joining the State Department under then-Secretary of State Hillary Clinton. After his work concluded with the federal government, Farrow began a new life as a journalist and author. He was brought to WSU by the Lindquist College of Arts & Humanities in conjunction with the Women’s Center. Farrow’s reporting on the sexual misconduct cases of Hollywood producer Harvey Weinstein, cited as one of the instigating factors of the #MeToo movement, helped earn him his Pulitzer. Before delivering his speech, Farrow spoke with an intimate group of 30 students from WSU’s Honors Program and The Signpost. The honors students in attendance read his best-selling book, “War on Peace: The End of Diplomacy and the Decline of American Influence,” as part of their course curriculum. In the discussion, Farrow disputed the notion that he was responsible for the #MeToo movement. He was then asked how he finds stories worth writing. Farrow said his team of researchers sift through his emails for news tips and decide what’s worth giving more attention. Doing most of his work on stories of private espionage and surveillance, he has almost been forced into the world. Farrow described crossing paths of traffic to meet with sources and having to move because he was being followed. Even though he made a name for himself with the written word, Farrow had no formal education in journalism. He told the group of students and faculty that he got his start by writing and submitting op-eds to newspapers across the country and that before he became the investigative journalist he is now, he used to write magazine features — specifically mentioning a profile he did on Miley Cyrus for W Magazine in 2014. Farrow described his writing in depth after a question about how he works around emotion in his pieces. He said emotion is valuable when it adds understanding and that naked emotion works in fiction writing. “If you’re dealing with a topic that’s intrinsically very emotional, like death or sexual assault, topics where people’s fates are wrapped up in these facts, it can actually be more powerful to strip out the on the nose description of those emotions,” Farrow said. With just minutes left, Farrow took the opportunity to list some of his favorite authors and those he’s reading now. While Joseph Heller’s “Catch-22” and several of Kurt Vonnegut’s works made the list, Farrow said he tries hard to make sure their voices don’t influence his own work. After the small session concluded, people began to pour into the Austad Auditorium to hear Farrow speak. In addition to theater seating, additional seats were set up on the stage for VIP guests, including Scott Sprenger, dean of the Lindquist College, and WSU President Brad Moretensen. His speech itself was short, coming out to just under 20 minutes. 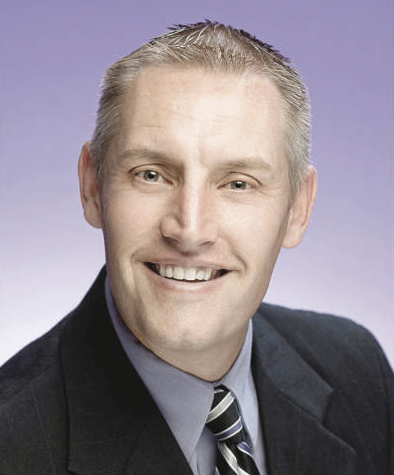 He discussed members of the Weber State community who have made impacts, naming Dr. Forrest Crawford as one of the influential members as a professor and civil rights champion. Farrow also mentioned Jessica Miller, a WSU alum and fellow Pulitzer Prize winner for the Salt Lake Tribune, as a part of the fabric of Weber State. After a short break, Farrow was joined by Doug Fabrizio, the host of KUER’s Radio West. Fabrizio then interviewed him for the audience with an occasional peppering of submitted questions. Routinely, Farrow used humor to convey his messages. He mentioned that in college he was originally a pre-med student. “Like many lawyers I hit organic chemistry and said, ‘I’ll be a lawyer,’” Farrow said. At one point in the conversation, Farrow was candid about the lowest point of his professional career — just one month before he became a household name. In the midst of reporting on the Weinstein story, in September of 2017, he described sobbing in the back of a taxi cab, thinking his future was in doubt with NBC News. Over the next year, Farrow reported on the misdoings of former New York State Attorney General Eric Schneiderman and former CBS President Les Moonves, as well as the story of Deborah Ramirez. Ramirez was one of the women who accused Supreme Court Justice Brett Kavanaugh of sexual assault. One question that came up during both sessions was whether or not Farrow would ever run for office. He had the same answer both times. He told stories ranging from the professional, like Countryman’s final days on the job, to the personal, like Holbrooke’s penchant for briefing his superiors in restrooms. Kissinger, Farrow acknowledged, is a complicated character in the history of the United States. While granting that many people consider Kissinger a war criminal for his actions in Cambodia, Farrow told stories about interviewing him for the book that revealed sides of the diplomat few private citizens ever saw. Farrow said whenever Kissinger got bored during their phone calls, he would periodically hang up, sometimes mid-interview. Farrow would then have to call his assistant back, and Kissinger would go right into the interview. When the Q&A ended, Farrow was given a roaring ovation as he exited the stage. 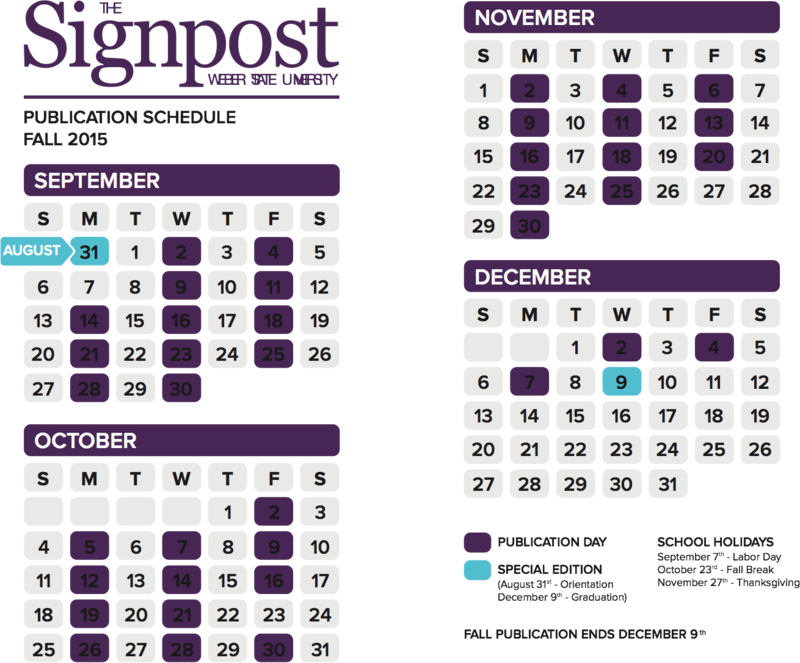 His trip to Weber State was, in part, an act of procrastination; the first draft of Farrow’s next book is due to his publisher by Feb. 8. He is also working on a series of documentaries for HBO. Despite all his successes and praise, Farrow saw a lot of himself in the groups of students.